A Friend In Need Is A Friend Indeed! 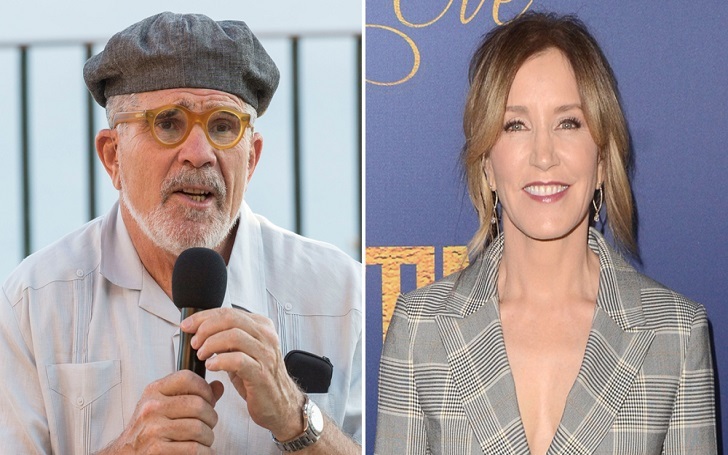 Playwright David Mamet has come forward to defend his friend Felicity Huffman following her arrest for her allegedly getting involved in a college admissions scam. The Pulitzer Prize-winning playwright shared an open letter to The Hollywood Reporter in defense of the Desperate Housewives star. He began his statement by writing that admissions policies for Elite Universities are "an unfortunate and corrupt joke". I do not see the difference between getting a kid into school by bribing the Building Committee, and by bribing someone else. But, apparently, the second is against the Law. So be it. The screenwriter then went on to discuss his long-standing relationship with both Huffman, 56, and her husband. I’ve known and worked with Bill Macy for nearly fifty years. We started two theatre companies together, one of which, THE ATLANTIC is still in operation in New York, after 35 years. I’ve known Felicity Huffman for those 35 years, she was my student, my colleague, worked in many of my films, and created roles on stage in three of my plays. I’m crazy about them both. As we previously reported, on Tuesday, March 12, the television personality was taken into custody at gunpoint by FBI agents. Her bail was set for $250,00 and she was released on Tuesday, March 12. She later appeared in court where she was softly spoken while answering to the judge. Fuller House star Lori Loughlin, who is also a suspect of the scam, was arrested on Wednesday, March 13, for involving in the nationwide college admissions scandal. Her husband, Mossimo Giannulli, was also arrested on one day earlier.